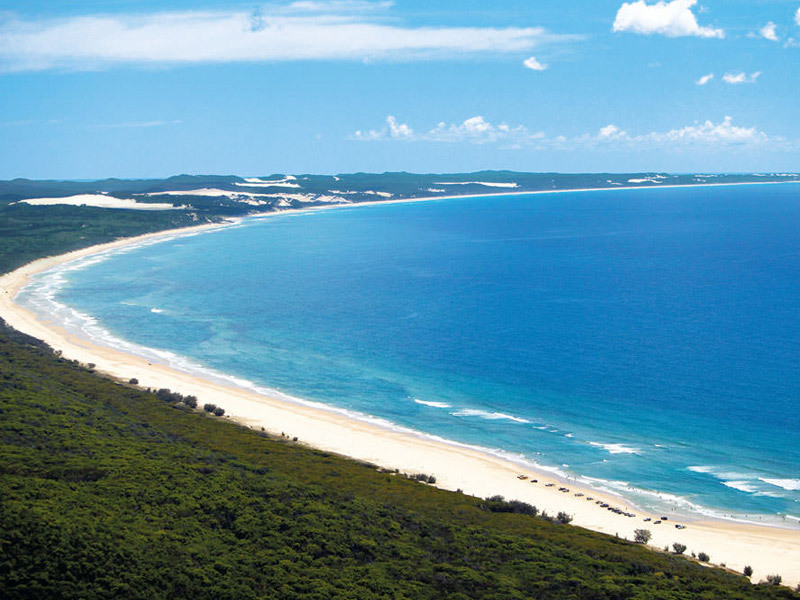 Join The Discovery Group on a one day wilderness adventure to Fraser Island. Beginning with complimentary pick up from your Noosa accommodation, head across the Noosa River bound for Cooloola National Park and onwards to Fraser Island. Travel along the spectacular Seventy Five Mile Beach to explore the natural beautify of this magnificent wilderness. Experience the excitement of the world’s best beach drive in purpose built ‘Warrior’ 4WD vehicles. Specially designed and engineered, they are the toughest and most comfortable 4WD on Fraser.